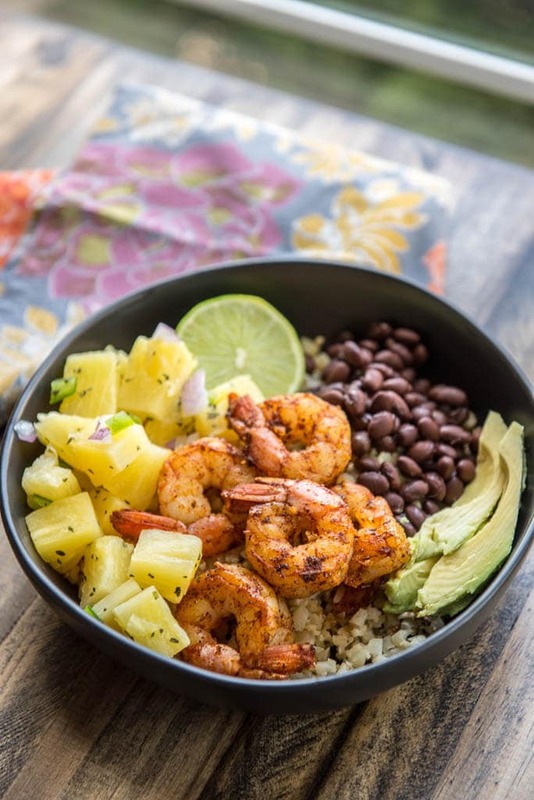 Enjoy these spicy flavorful Shrimp Tacos in a Bowl topped with a cool crispy Pineapple Salsa for a delicious dinner! I really don’t make shrimp often enough and here’s why I need to add some shrimp recipes to my weekly line-up! I don’t think there’s many more reasons you need than that! 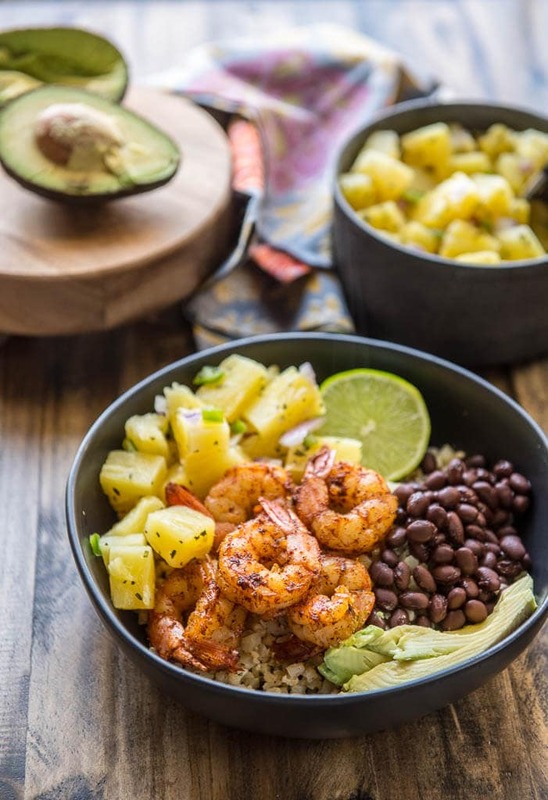 Especially when you can find a simple way to serve it up like these Shrimp Tacos in a Bowl with Pineapple Salsa! I love bowl meals because everyone can assemble their own with their choice of customized toppings and I can save the arguments over what we are having for dinner. 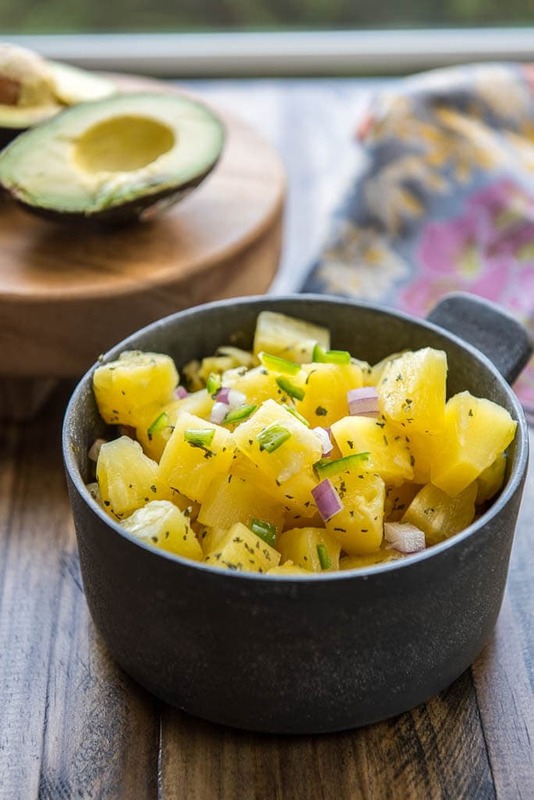 This pineapple salsa is just about the easiest thing ever and can be used on just about any recipe you like. I use it on tacos, to top fish, on chips…. really, you dream it and it should work! 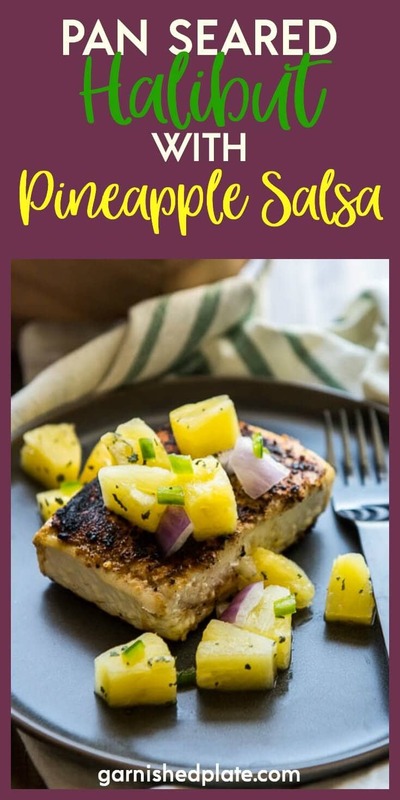 You can totally use fresh pineapple if you’ve got it, but I like to keep a few cans of pineapple chunks on hand to throw this together just about any time. It really freshens up a meal! My other little cheat here is the cauliflower rice. You can use a food processor to chop up your own, but most grocery stores now sell it already ready to cook in a little baggies. Saves so much time!!! I actually cooked up the shrimp first in the skillet, took them out and cooked the cauliflower rice in the same skillet. It’s always my goal to use as few pans as possible to minimize clean up. So next time you’re looking for a quick and easy meal, think shrimp! 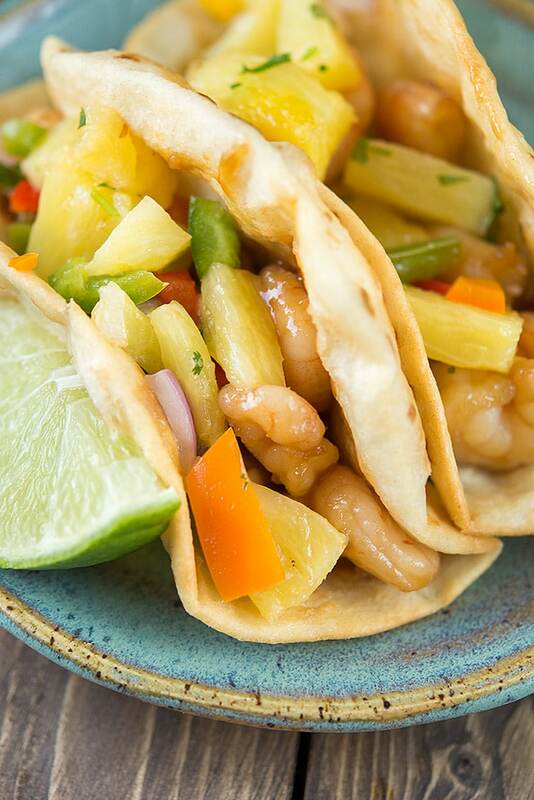 And specifically, think about these super easy, super tasty Shrimp Tacos in a Bowl with Pineapple Salsa! These taco bowls looks absolutely delicious! My family and I love homemade tacos, this recipe will be added to our next Taco Tuesday night. 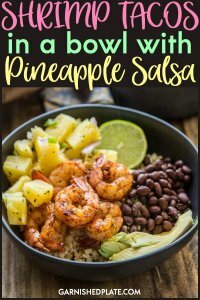 That pineapple salsa sounds amazing! It has so many uses! Shrimp is a favorite around here as is pineapple, so this is right up our alley. 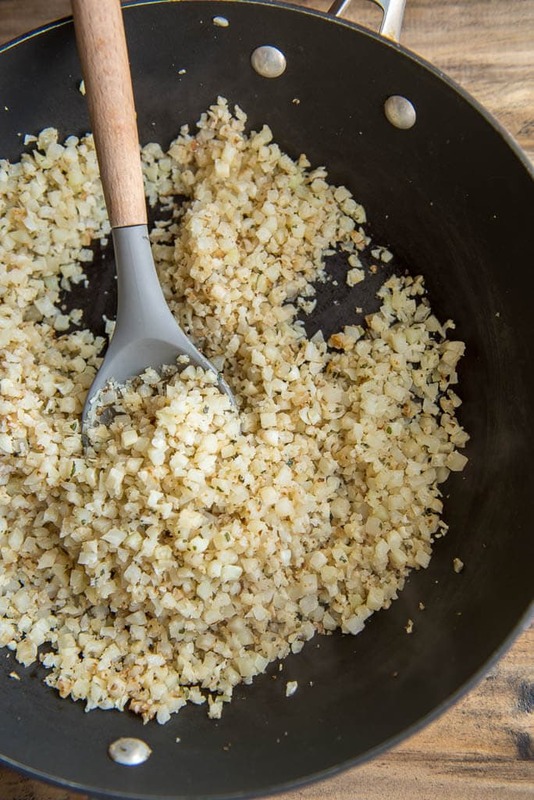 I think I would not wipe out the pan before the cauliflower. I'm a big fan of using the seasoning left behind in the pan. Nice photos! Love the pineapple salsa with this combination. Such a great summertime meal and so simple.